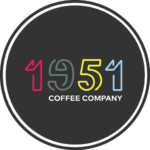 1951 Coffee Company is a non-profit that promotes the well-being of the refugee community in the San Francisco Bay Area by providing job training and employment to refugees and asylees while educating the surrounding community about refugee life and issues. 1951 marks the year the United Nations first defined and set forth guidelines for the protection of refugees. Graduates of the ongoing training program are now employed at Starbucks, Peet’s, Blue Bottle and other local coffee shops including in-house tech company cafes. 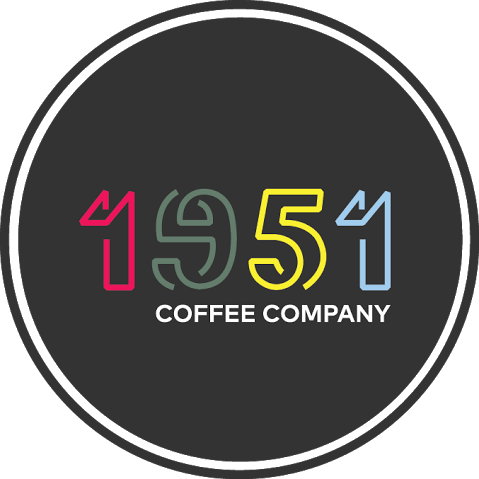 1951 Coffee Company was recently awarded a $63k grant from the Starbucks foundation. California has more immigrants–documented and undocumented–than any other state. One out of every two Californians was born outside of the U.S. or has a parent born outside of the U.S. As the daughter of immigrants and a native Californian, I was excited to host a group of eight volunteers from my employer in support of refugee employment and their financial well-being. We volunteered at 1951’s Open Café during their Barista Training Program. As mock customers, we helped trainees practice their customer service skills, and we had the privilege of enjoying a coffee or tea beverage that they’ve learned how to prepare. I had more than my fill of hot chocolate! Volunteer participation in the Open Café is instrumental in instilling refugees with confidence as they enter the American workforce. We all had a great time meeting trainees from Eritrea, Mali, Myanmar, and Nepal. 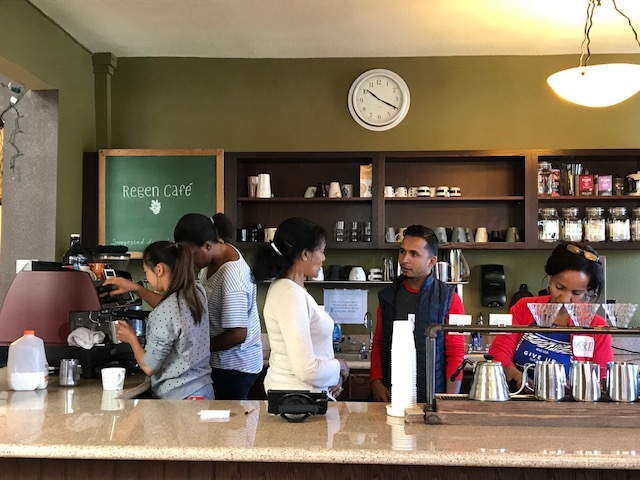 The 1951 Coffee Shop, located near the UC Berkeley campus, provides a welcoming intersection between the general public and the refugee community. 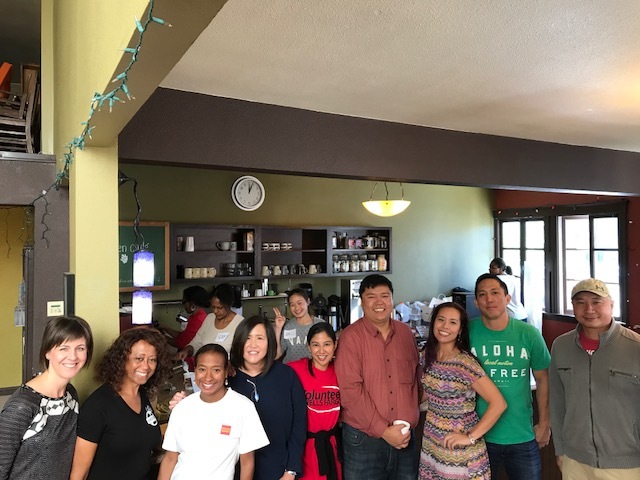 The cafe annually employs 10-15 refugees from over 7 different countries, including Bhutan, Uganda, Syria, Eritrea, Burma, Afghanistan, and Iran. As a social enterprise, all proceeds help further their mission. You can fill out the contact form to volunteer at a future Open Café or make a donation on their website. Below are pictures from our lovely volunteer experience. In fact, two of the trainees secured jobs the following day. Go team! What a great way to give back and thank you for sharing more about it here, Catherine with us. I think I have been there. But I will check it out. Ah, I LOVE when you post about giving back in realistic ways. Thank you for this.